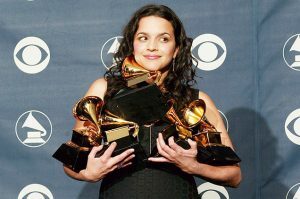 Multi-Grammy Award winner, Geethali Norah Shankar Jones is an American singer/songwriter, pianist, and actress best known as Norah Jones. Norah has been delivering smash of hit albums over the years including Come Away with Me. 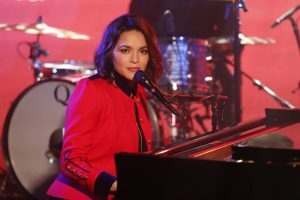 Norah Jones was born on March 30, 1979, as Geethali Norah Shankar in Bedford-Stuyvesant, Brooklyn, New York. She grew up in Grapevine, Texas with her mother. 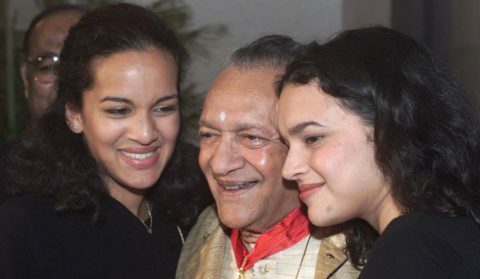 Norah is the daughter of father legendary Indian music Ravi Shankar and mother American Concert producer Sue Jones. Norah attended Colleyville Middle School and Grapevine High School later transferred to Brooker T Washington High School for Performing and Visual Art in Dallas. Norah was very active in her school premises and participated in different activities. She used to sing in the school choir, participated in band and played the alto saxophone. She brought home the Down Beat’s Student Music Award for Best Jazz Vocalist and Best Original Composition and after that, she majored in jazz piano at the University of North Texas. In 1999 she moved to New York’s Greenwich Village after getting inspired by local musicians to write her own songs. She waited on tables and sang standards in local clubs, often appearing with the funk-fusion band Wax Poetic. 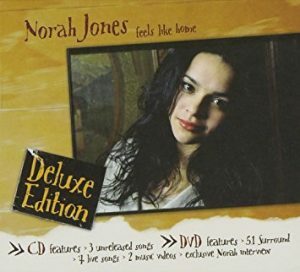 Norah started her career in a band along with her friends Jesse Harris, Lee Alexander, and Dan Rieser and signed to Blue Note Records in early 2001. Her recording with them were the bestsellers. The following year her debut album, Come Away With Me produced by the illustrious Arif Mardin was released. Jones got fame and success with the 2004’s Feels Like Home which made to the top of Billboard album charts. Jones brought home five Grammy Awards in 2003, inclusive of the top honors for best new artist, the album of the year and the song of the year for the hit Don’t know why. In 2009, Jones released her album The Fall which drew much of the inspiration from her relationship that broke up with her band member bassist Lee Alexander. Jones starred on Dancing with the Star, Late Show with David Letterman, Good Morning America, and other television programs. In Billboard’s 2000-2009 decade awards ranked her as the top jazz recording artist, at no 60 best artists and Come Away With Me was listed on the No 4 album and No 1 jazz album. Norah was nominated in the Best Pop Collaboration with Vocals category. She also released a compilation album with renowned musicians including the Foo Fighters, Willie Nelson, Dirty Dozen Brass Band, Outkast, Q-Tip, Talib Kweli, Belle and Sebastian, Ray Charles, Ryan Adams, Dolly Parton, Herbie Hancock and others. In 2012, Jones worked with Danger Mouse and Daniele Luppi on the track of her album Rome and released her fifth studio album Little Broken Hearts with Mouse. Album was referred as the most dramatic and rewarding departure she’s made in her career. Later Norah kicked off for her fifth world tour in Paris and continued with her shows around the world. She has worked in many collaboration projects. 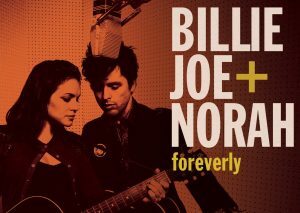 Norah worked together with Billie Joe Armstrong member from Greenday, for the 2013 album Foreverly. After that Jones teamed with Sasha Dobson and Catherine Popper to do the country trio Puss N Boots and released their first record No Fools, No Fun in 2014. On May 2015 Jones performed “Don’t know why” on the Late Show with David Letterman. In October 2016, her sixth studio album Day Breaks was released which features nine songs and three covers. Currently, she is on her world tour performing her hits from her albums. Norah once was in relationship with her own band member bassist Lee Alexander in 2000 but sadly got separated after a long term relationship for about 7 years. Her album The Fall highlights few elements of her relationship. Norah fell in love with a musicain man and married her around 2013. She wishes to keep the details about her husband anonymous. In 2014, Norah announced her pregnancy in a military event and the same year she gave welcomed the baby. Again in 2016, Norah andd her husband was blessed with teh second child. And subsequently, Norah started posting pictures of her son. She has managed to keep her personal life very private. There is no information about her spouse and her son. Whenever asked Norah is always seen avoiding the topic related to her personal life. The versatile and muli-talented singer spend a decade in music industry surely earns the attractive salary from her career. Most of her income hails from her handful number of albums as well as the concerts she performs around the world. This successful 38-year-old singer has an estimated net worth of $25 million.